Maximizing autoimmune health through diet and lifestyle is hard work. The rewards are absolutely worth it, but sometimes a little extra help can make it a whole lot easier. When do we ask for that help? Most of us who choose this path are independent and self-motivated people. We're often frustrated by the failures of conventional medicine, and have reached a point where we're ready to take our health into our own hands. The internet is now full of information (like this blog) that points us in the right direction. Sometimes, that's all we need. But what if you have brain fog and can't wrap your mind around what's necessary to implement these changes? Or your family isn't supportive, so you have daily obstacles and temptations making it much harder? Perhaps you've been on a healing diet for a while and aren't seeing results; you need to troubleshoot and don't know where to start. Or maybe you've tried to switch to paleo a few times now, but always gave up after the first week, because it's too darn hard. In today's episode, I interview two people who are making autoimmune healing much easier. They both have autoimmune disease themselves, which they have improved through diet and lifestyle, and they now work professionally helping others do the same. 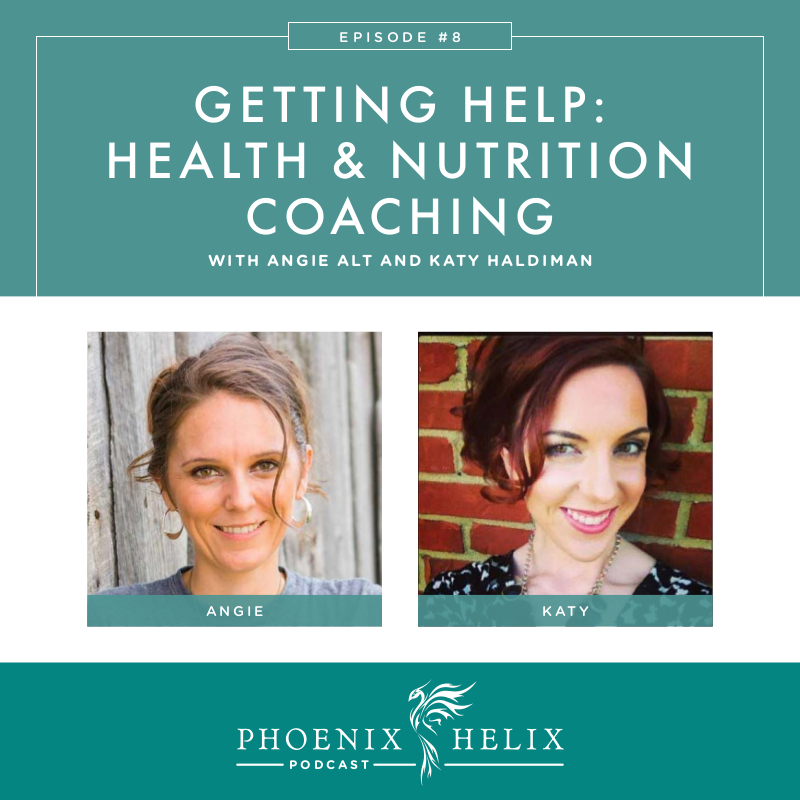 Angie Alt is a health coach, and Katy Haldiman is a nutritional therapist. We talk about the different services they offer, and when is a good time to seek help. Angie Alt has Multiple Autoimmune Syndrome, which for her includes celiac, endometriosis and lichen sclerosus. 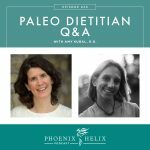 She has reversed her symptoms with the help of the paleo autoimmune protocol (AIP), and now works as a health coach, helping others do the same. You can listen to her healing story on Episode 1 of this podcast. Katy Haldiman also has Multiple Autoimmune Syndrome, which for her includes seronegative inflammatory arthritis, Crohn's and myasthenia gravis. She has reversed her symptoms through a combination of SCD/GAPS and the AIP. Her background is nursing, and she now works as a nutritional therapist, specializing in autoimmune disease. Katy shares her healing story with us today. Katy got her third autoimmune diagnosis (myasthenia gravis) after following the AIP for a year. At first, she was disappointed and questioned the effectiveness of the paleo approach. Then, she remembered two important things: (1) While diagnoses happen immediately, the autoimmune process takes years to develop and started long before she went paleo. (2) Her health improved dramatically over that year: eliminating severe diarrhea from Crohn's, and resolving debilitating joint pain from inflammatory arthritis. Also, her myasthenia gravis symptoms are so minor, they require no medical intervention. We all shared our own stories of coming to terms with the difference between reversing autoimmune disease and a cure. While a cure isn't possible, the paleo diet and lifestyle can lead to major improvements, and it's incredibly empowering that we are the ones making the difference in our own health. It's easier to feel grateful for how far we've come, if we aren't pursuing perfection. Angie got her health coach training through the Institute for Integrative Nutrition (IIN). Her professional mission is to help people maintain a diet and lifestyle change for the long-term. She offers online group classes to transition people to the paleo autoimmune protocol over a 6-week period. She also works with people 1:1, helping them set up a support system, and identify any obstacles to a healthy lifestyle. Katy's background is nursing, and she became frustrated with the limits of conventional medicine in treating chronic health issues. She got her training through the Nutritional Therapy Association (NTA). Her professional mission is to help people get at the root of their health issues, through holistic nutrition counseling. 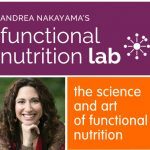 She also works with people 1:1, identifying nutritional deficiencies and troubleshooting healing plateaus. The difference: Both Angie and Katy are available via Skype and work with people around the world. While there is some overlap in services, health coaches generally give guidance on where to begin, and how to maintain a healing diet and lifestyle. Nutritional therapists help people troubleshoot, when diet and lifestyle isn't enough to resolve their symptoms. Angie helped transition a young family from a Standard American Diet to a regular paleo diet. The husband had developed fatty liver and pre-diabetes, which was concerning to both of them. Over a 4-week period, Angie helped them make the switch to paleo, finding new foods to replace old favorites. Then, she helped them refine their diet by focusing on nutrient-density for optimal healing. Lastly, she worked on stress management, because healing is about much more than just food. The result? He lost 25 pounds. His A1C went from 6.2 to 5.1, and his liver enzymes normalized, meaning he no longer has fatty liver nor pre-diabetes. Katy helped a client with ulcerative colitis, who was suffering from severe symptoms of frequent diarrhea and bloody stool, in spite of taking conventional medications and starting a paleo diet. After an assessment, she started him on a modified GAPS introduction diet to calm his digestive system. Then, she transitioned him to the AIP, which helped him identify which paleo foods were inflammation triggers for him. She also recommended some supplements and herbs to jump-start his healing. Results? His symptoms resolved, and he was eventually able to go off his medications, with his doctor's support. The GAPS diet has 2 pieces: Introduction and Full Diet. The Introduction Diet is designed to soothe the digestive system by removing foods that are hard to digest, and it's largely soup and broth-based. It's meant to be a short-term measure to get critical symptoms under control. Unfortunately, it also includes foods that are common food intolerances for people with autoimmune disease, like eggs, nuts and dairy. Katy modifies the diet to remove these foods. Angie works with a lot of people who tried going AIP cold-turkey, but didn't make it more than a week, because they found it too hard both physically and emotionally. Angie prefers a gentler approach. You don't have to do it all at once. She provides the tools and supports for you to make the transition successfully. Angie and Katy are qualified professionals, but there are times when they refer people to specialists: (1) If people have SIBO symptoms, both Katy and Angie refer them for testing, diagnosis and treatment. (2) If people have autoimmune symptoms but no diagnosis, Katy also refers them for testing. (3) Any time someone has a condition that could benefit from conventional medical care, they will refer accordingly. 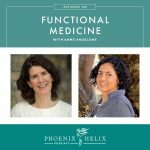 Conventional medicine often excels at addressing acute problems; and then Katy and Angie can work with their clients on the root causes behind those problems. (4) While the gut-brain connection means that diet can powerfully improve mental health symptoms, sometimes people need help beyond diet, and Angie will refer to a psychiatrist in those cases. (5) Both Angie and Katy also refer people with eating disorders to a specialist. Katy offers a self-paced online course called The Nurse's Guide to Real Food. Update 2017: This class is no longer available. 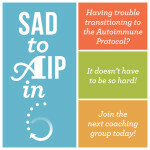 Angie offers an online group coaching class called SAD to AIP in SIX. There are 20 people in each class, and she guides them from the Standard American Diet to the Paleo Autoimmune Protocol over a six-week period. She provides sample menus and recipes and a Facebook Group where the students can support each other. Angie offers daily encouragement through emails and participation in the Facebook group. She has a number of groups throughout the year. Katy can be found at her website, KatyHaldiman.com There, she has information about her nutritional therapy services, her blog and social media. Update 2017: Angie is no longer accepting 1:1 clients. You can find more information about her group classes here. She is also the author of The Alternative Autoimmune Cookbook and co-author of the blog: Autoimmune Wellness. And here's an AIP Certified Coach Directory.